June 19th, 2015 | Moving Tips. Many times the hardest part of moving involves selling your home. The pressure of finding and persuading a buyer can become exhausting. Most often, you get one chance to make a positive first impression. So you have to make that moment count. Help potential buyers feel welcome, safe, and warm when they come to your home by using these tips. The first impression often starts with the exterior of your home. Make sure your yard and front porch look as attractive as possible. You may need to plant fresh flowers, mow the lawn, and paint the door to create a beautiful entrance for potential buyers. You may benefit from removing fencing around your yard. Most fences make yards appear smaller than they actually are. You don’t have to revamp your entire lawn, but focus on these hot spots to improve the overall aesthetics of your home. 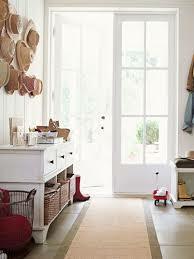 You want potential buyers to step into your home and say “wow.” So start interior improvements in the foyer. Buyers often set their expectations for the home based on what they can see from the front door. Therefore, you have to make your foyer look bright and welcoming. Consider applying a fresh paint coat, eliminating clutter, and cleaning the coat area. You may want to get a mirror or painting to create a focal point for this area. Then pick place a vase with flowers or bowl of potpourri to make sure your home smells clean. These small additions help your home look both simple and sophisticated. A major turn-off for potential buyers is dirt. You want them to visualize their life in a place better than the one they currently have. Clean more than the day-to-day buildup. You will need to deep clean the carpets, repaint rooms, and store away or sell all unnecessary home pieces. Every buyer looks for places that they can store their things. To make your home seem larger, remove half of your things from every storage area. 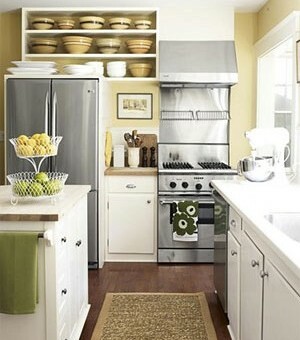 Once you remove the items, organize the remaining items into neat piles. Buyers will look in closets and cabinets to determine the spaces available. Make sure your home looks as spacious as possible by de-cluttering every room. The lighting in your home can make a huge difference on buyer’s decisions. Fortunately, you can fix lighting issues easily and quickly. Wash your windows to give a clear picture of your view. Replace dark drapes with light colored window treatments. Update light bulbs and consider adding overhead lights. As a rule of thumb, you should have 100 watts every square foot. You can also add floor lamps or task lighting to brighten your home. Your kitchen can make or break the buyer’s decision. You have to make this room the highlight of your home. Otherwise, your potential buyer could knock down his or her asking price by thousands of dollars because he or she doesn’t like the kitchen. Even if you need to renovate the countertops, most homeowners get 85% return on the investment. If you want to increase your chances to sell your home, consider updating the paint, countertops, and cabinets in your kitchen. Use neutral colors so buyers have a blank canvas to envision their style in this space. If you have wiggle room in your budget, update appliances to give your kitchen a polished finish. Once you have prepared your home to sell, take a moment to walk through the home as if it you were touring it for the first time. This will help give you an idea of areas you can improve and add finished touches to the project.